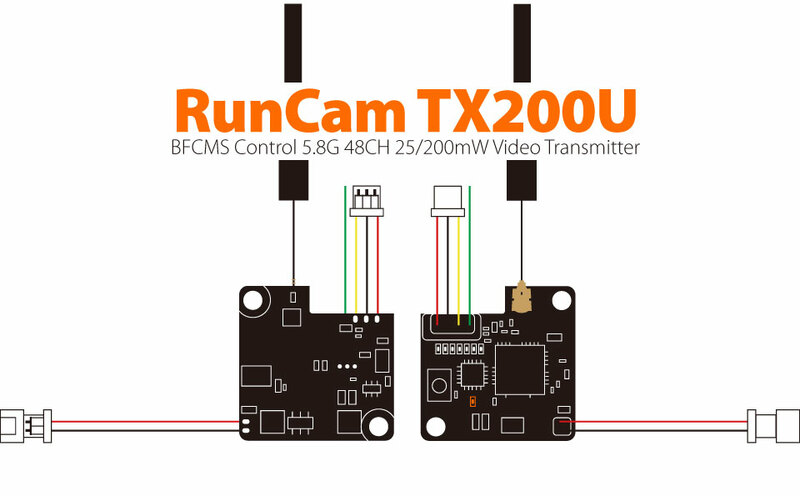 An update to the popular RunCam TX200, the TX200U adds BFCMS control to a tiny VTX made to be attached to the back of your RunCam FPV camera. The RunCam TX200 was a very popular VTX because of its ability to seamlessly attach to the back of many RunCam FPV cameras in a tiny package. Well, RunCam went and made it even better and added BFCMS control, supporting Tramp Telemetry! 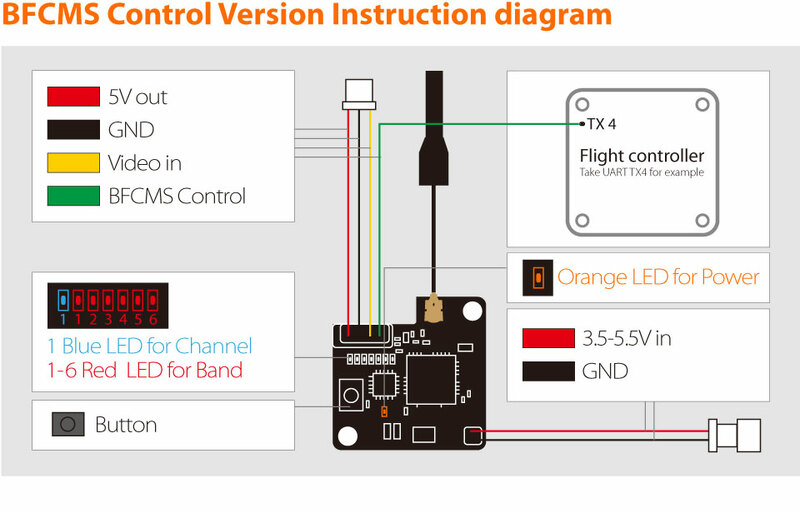 They include a button to change channels, bands, power levels of the VTX, and the LED strip. Just note that the mounting holes for the TX200U are made specifically for RunCam cameras, other manufacturer's cameras may not fit the form factor correctly. Note: Channels in orange are not available in lock mode and the default power is set to 25mw out of the box.